The Last Day of School, Opening Day of Camp, and Pawn Tickets. Huh? Summer vacation comes late to Virginia public schools. Today is their last day; Tuesday, June 18th. KT always missed these final days of school so I could get her to Northern Michigan for camp’s Opening Day, which occurred for Midwest camps over the weekend. It was tough motivating her toward perfect attendance all year, knowing this conflict loomed. I always felt guilty about her missing school, although the only real lesson imparted these last few days is that government is inflexible. Yes, I know we need rules. They keep us safe, calm and civil. But kids should have different rules shortly after Memorial Day. 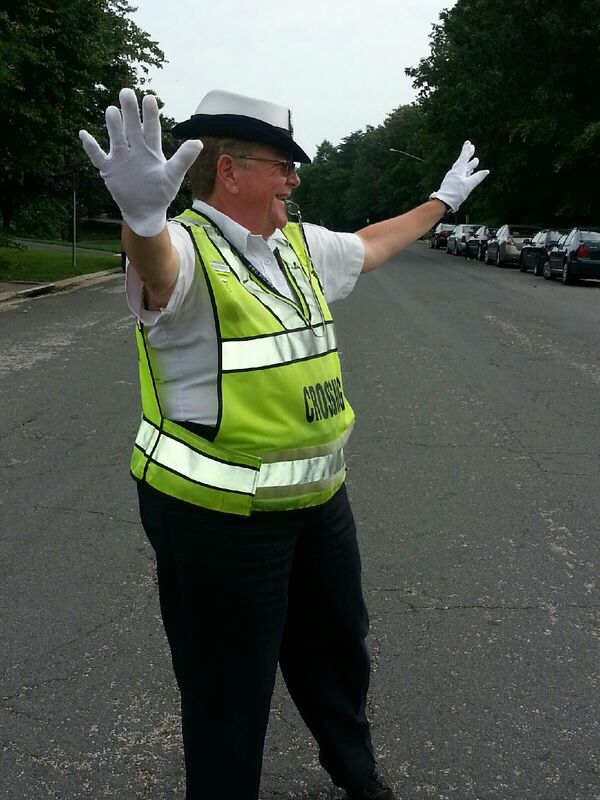 Prince William County Virginia Crossing Guard. Thank-you Marietta! When we moved here from Nebraska twenty years ago, I noticed an increased government presence. The crossing guards impressed me most of all. They are police department employees through the Crossing Guard Bureau. They wear spiffy white caps, official badges, WHITE gloves, and they will not hesitate to put their lives in peril to stop traffic. Some of the streets are quite busy. All the commuters are angry and impatient. Most notably, Virginia is HOT in June, especially when standing in the sun on asphalt. I assumed the guards vacationed over the summer until I chatted with Marietta yesterday. She enters pawn tickets into the police department data base between assignments. Hmmm… they never mention this on Pawn Stars. Perhaps it would deter customers if they knew. More government. More rules. More protection. I forgot to ask Marietta if the gloves come off for this. It’s not too late to rescue your kids from a summer of home rules, city dangers, and government protections. You can still send them to camp, especially if you live in Virginia*. Go to the American Camp Association website, search for the best fit, and have the fortitude to send them. Pawn them away from your television and their game consoles. Send them into nature. They will be safe. And, they will return to you much improved. * Sheridan Mountain Campus’ summer registration is still open! 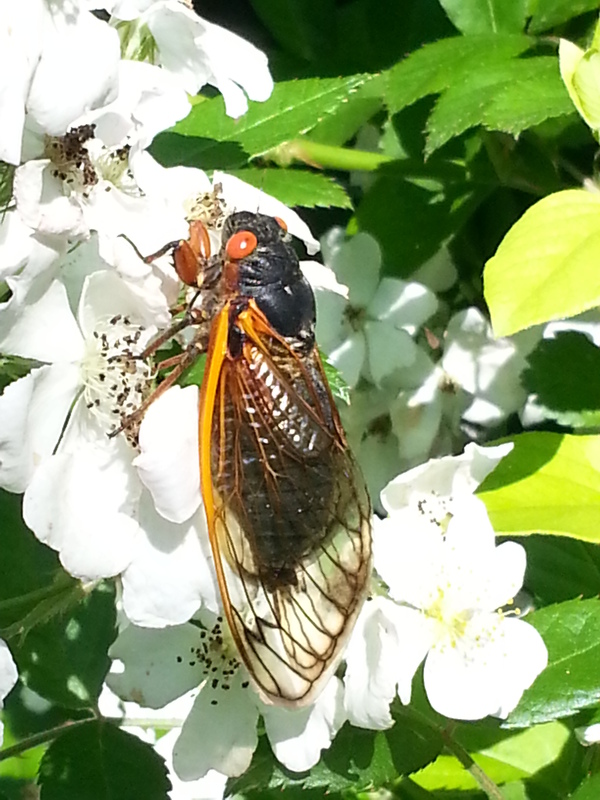 “Live for today.” Or, at least that’s what I imagined the cicadas said when they first emerged. Their calls awakened a window to the past by transforming our woods to a tropical rainforest. 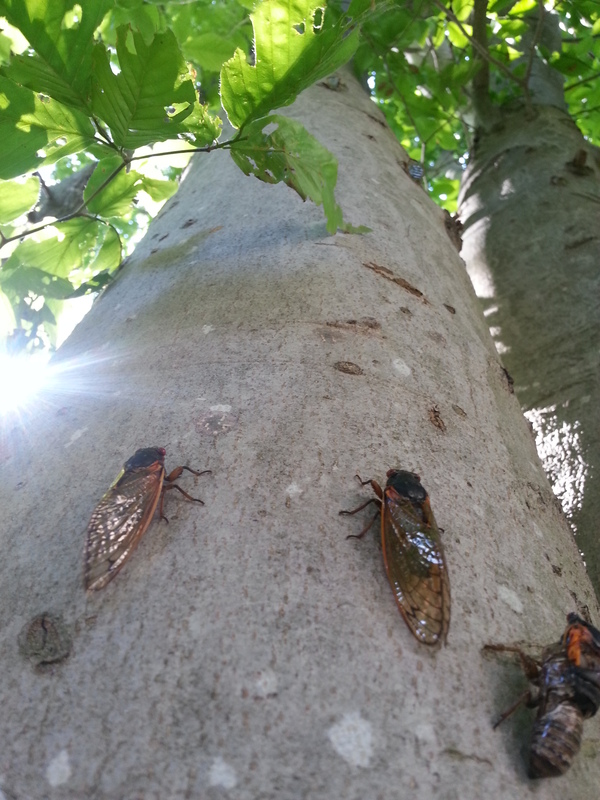 The male cicada‘s croaking vibrations whirled from the treetops in a deafening crescendo while the females snapped their legs in reply. Cicada sounds from the treetops entrance a turtle in Virginia, June 2013. 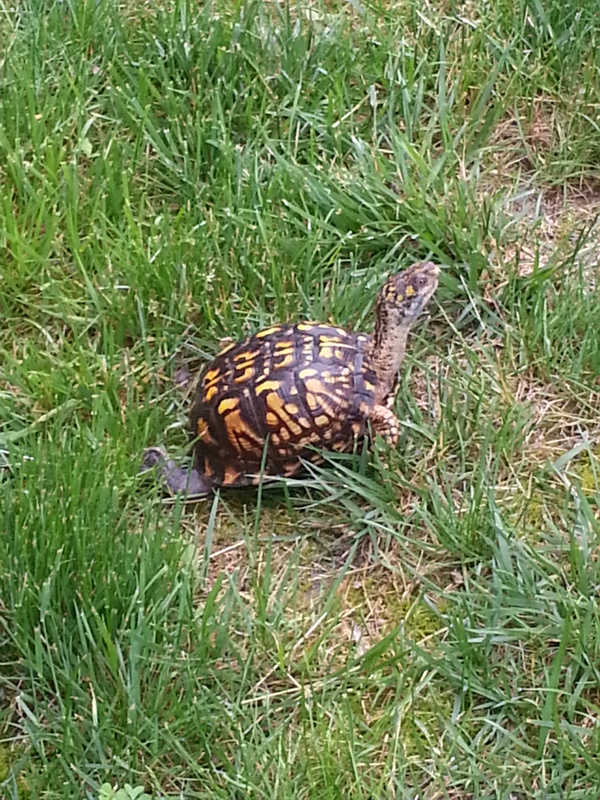 I came upon a turtle so entranced by the primordial cacophony, he forgot to hide, even when I stood beside him. He remained mid-stride, his neck stretched in awe toward the treetops. When the male calls changed from a croaking roar to a steady buzz, I imagined they said, “I will survive.” They had lived in darkness eating tree root sap for almost two decades. 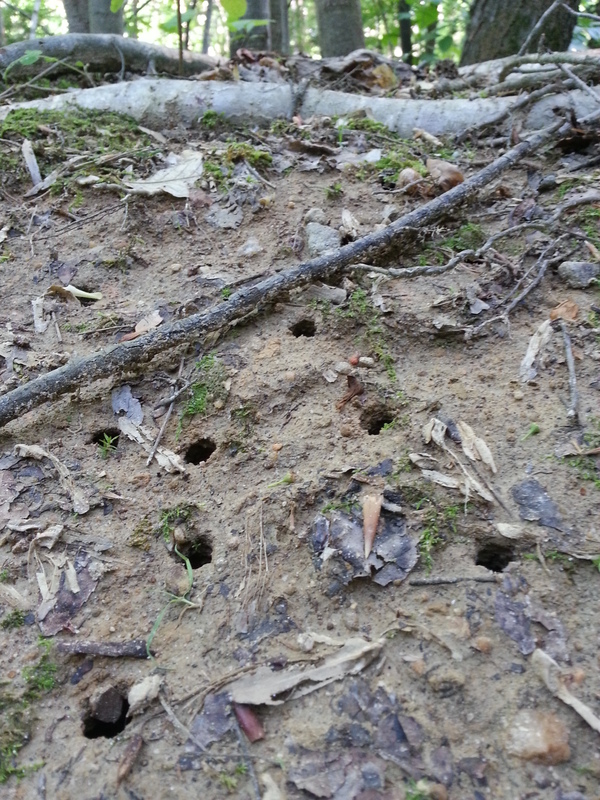 With only two weeks left to live, they dug through rock-hard dirt into sunlight. They shed their skins, unfurled their wings, and searched for a mate. 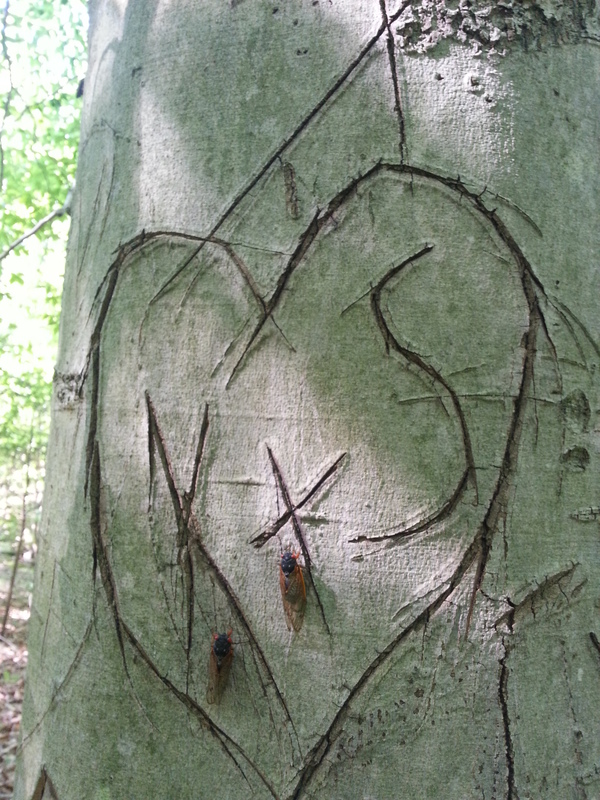 Their drive to procreate sent them into the trees.